Mince pies seem to divide people, but I am firmly in the camp of absolutely loving them (for one month of the year). I’m not normally that fussy when it comes to mince pies, but I found a cream cheese version at a Christmas market last week that was pretty bloody impressive. 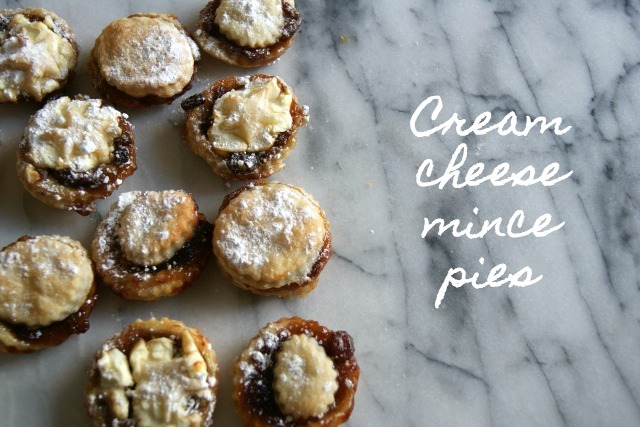 The cream cheese is subtle, but counteracts the sweetness of the mincemeat nicely. Think of it as a built in, but less rich, version of cream. I love puff pastry for mince pies, they’re already naturally heavy because of the mincemeat so the puff pastry makes them a lot lighter (read: you can eat more of them). 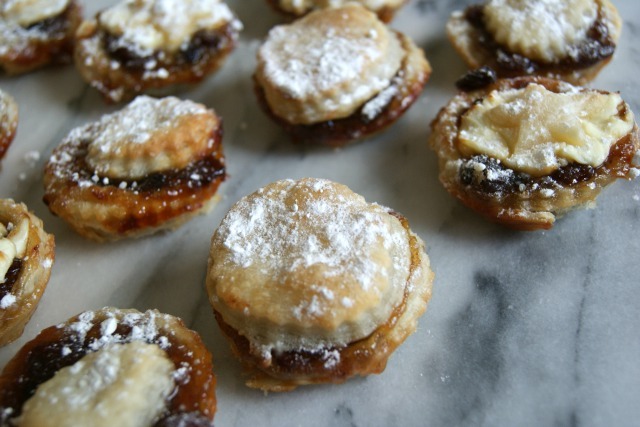 When the mincemeat bubbles up as they bake, it caramelises around the edges for an extra bit of Christmas magic. Here I made a few with the cream cheese baked on top and a few more with it hidden at the bottom – messy but beautiful! 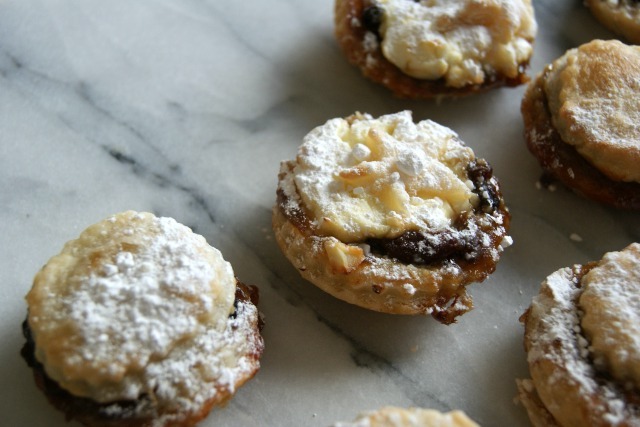 As always, your comments are very welcome, I’d love to hear your favourite Christmas foods! « Happy Monday – it’s Christmas! Filed Under: Food! Tagged With: Christmas!, Food!